The Camino de Santiago refers to a Christian pilgrimage route to the tomb of apostle Saint James the Great. His tomb is held in the Cathedral of Santiago de Compostela in the northwestern corner of Spain. Since 1987, it has been designated a UNESCO World Heritage Site and has gained popularity with pilgrims as a spiritual walk, and may be hiked or cycled. There are many routes throughout Europe with the most popular running through the Pyrenees in northeastern Spain and France. Traditionally, pilgrims start at their homes throughout Europe, but any route to the tomb of St. James is considered a route or way. My group opted for the second-most popular route from Portugal that can traditionally start at many points, including Lisbon or Porto. We opted for a shorter version that started on the northernmost border of Portugal and Spain. Before the trek began at the Catedral de Santa María de Tuí. 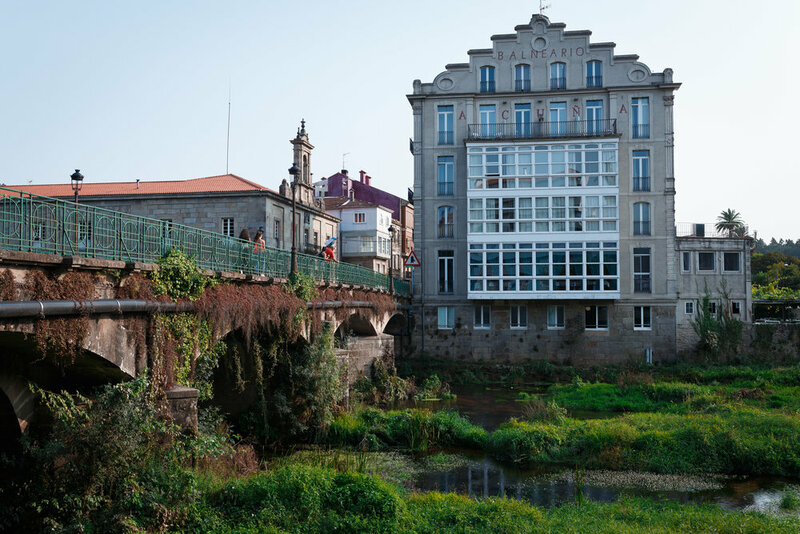 Our journey began on the border in a small village called Tuí, along the Miño River. That sleepy Sunday, we visited the Catedral de Santa María and were granted with a view of the city and the trail lying ahead. 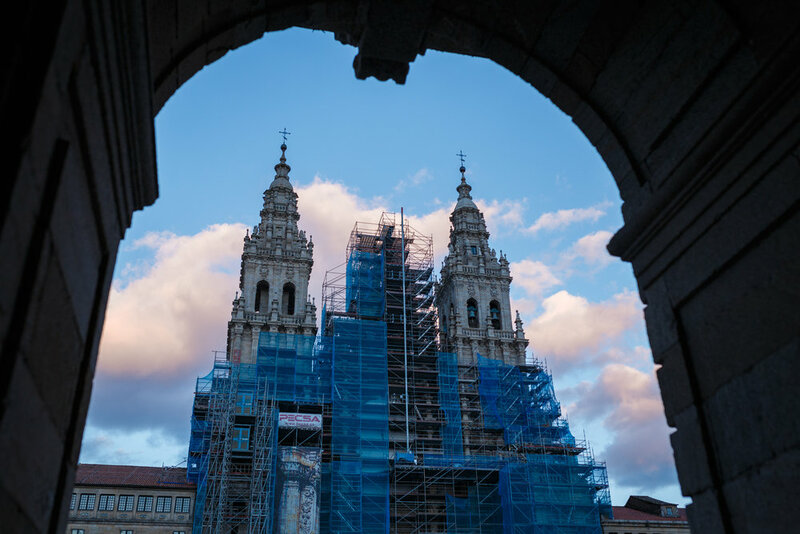 Over the next 6 days, we would trek over 120 kilometers to Santiago de Compostela, the capital of Galicia, in the northwestern tip of the country. Crossing through endless kilometers of vineyards in the Galician countryside. Lush forests at the beginning of our journey. The camino itself was marked by blue and gold scallop shells and arrows on the ground, on cement posts, and on buildings and was easy to follow. Scallops represent the many routes of the pilgrim all culminating upon the tomb of Saint James in Santiago. The kilometer countdown to Santiago every kilometer or so was met with satisfaction on some days and disdain on others. With the daily average of over 20 kilometers, it was no easy task to our moderately fit group. During our first day on the camino, just outside of Tuí, Spain. Artful decorations from pilgrims past. The trail led through old villages, big cities, and endless vineyards as far as the eye could see, all leading to the massive cathedral in Santiago de Compostela. All in all, it is a journey in physical, emotional, and spiritual proportions that will have a different effect on every pilgrim that walks it. With a plethora of reasons to make this pilgrimage, it is whatever you make of it and will definitely build your stamina in many respects. The colorful sunset off of Cesantes, Spain. Walking into the square surrounding the cathedral in Santiago with visitors and pilgrims alike was overwhelming, but seeing the looks of relief and happiness from the others on the trail gave me a sense of satisfaction. It wasn’t until later that evening when I returned as the sun was setting and the square had emptied that I felt anything. Walking around the square, I heard music swooning around the buildings and encircling me and felt something indescribable in the air. Whether it was the presence of God or an ethereal presence, I cannot say. What I can is that it was humbling and nearly brought me to tears. I made this pilgrimage for quiet contemplation and was definitely able to have that mental space I so desperately desired. The silent satisfaction of picking up one foot after another to bring you forward over such a long distance was self-affirming. I myself am not religious, but I enjoyed seeing the intimate guidance and gratitude of the rest of my group to God during this pilgrimage. The pilgrim’s mass in the massive cathedral in Santiago de Compostela was unlike any I had ever seen with hundreds upon hundreds of people there to see the culmination of their journey, even with giant swinging incense over the heads of the people at the finale. 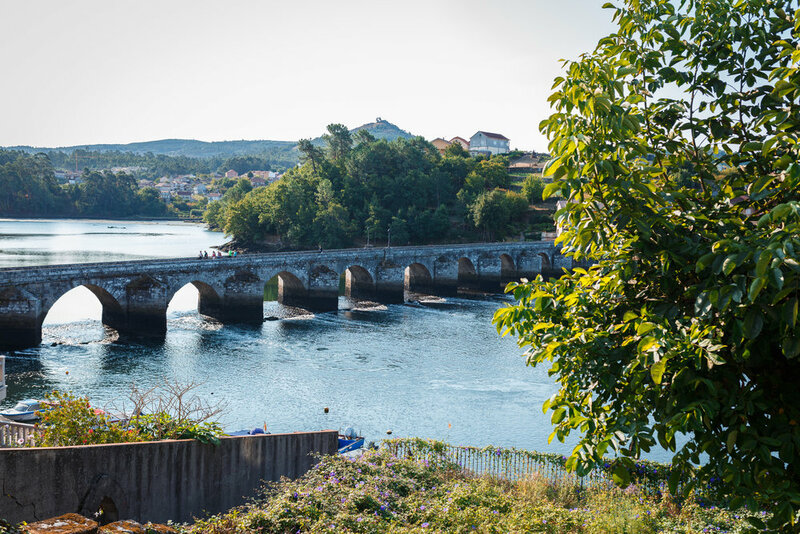 For those looking for clarity or for a deeper spiritual relationship with the powers that be, the Camino de Santiago is a great way to affirm that.